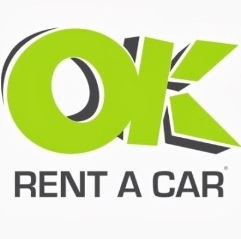 Let us represent you a review of OK Rent-a-Car at Palma de Mallorca airport, the company that amaze their customers with unbelievably and indecently low prices! OK car hire at PMI is the great way to rent a car for less than 4 EUR a day, which is in about 5 times lower than prices of world-famous companies such Avis, Alamo etc.! Why should you use RentalCars24H to rent a car by OK at Palma de Mallorca airport? RentalCars24H doesn’t just offer you the easy way to rent a car by OK PMI for the extremely low rates, it offer you something more important and useful – the great search engine opening up an opportunity to compare all possible car rental deals at PMI! RentalCars24H gives you the chance to look through the rental requirements of all Palma de Mallorca airport car hire companies! Then you’ll be able to choose and book a car under conditions acceptable for you! When looking at offers of OK car hire at Palma de Mallorca airport on RentlCars24H, you even may not believe in our rates and think there are some hidden fees! But calm down. All fees and charges included in the quote are described in “Rental Conditions” and there won’t be unpleasant surprises upon collecting the vehicle. *You should purchase the full tank of the fuel at the rental counter. Unused gas amount will be refund upon returning the vehicle, but an administration fee of 15 EUR should be paid. 2) Even 18 years old drivers are allowed to rent a car from OK in Palma de Mallorca! 5) Just awesome car fleet of all possible vehicle classes from the cheapest Peugeot 107 and Fiat 500 to the awesome and splendid Maserati Gran Turismo convertible! 6) You can require delivery service to your hotel. But it will cost you some extra money. The features of paying for the vehicle you chose could be read online, after you use the search form. The main thing you should remember that the cost of the car rental itself is paid online, but the cost of all additional services and options is paid only at the rental desk. 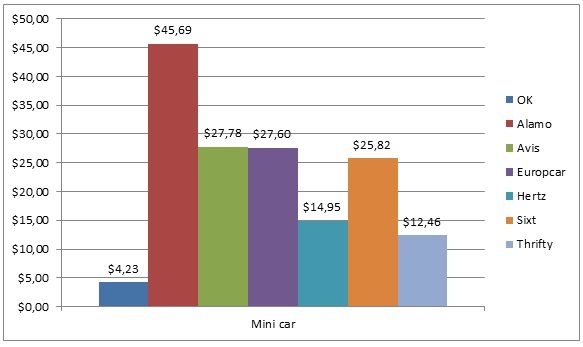 The amount of the money blocked on your credit card (deposit) depends on the vehicle class you rent. It could be from 600 EUR for the cheapest vehicles to 6,000 EUR for the luxury ones. Only the people with a valid driver’s license held for 4 years minimum are allowed to arrange car rental by OK at Palma de Mallorca airport. NOTE! People leaving in the USA must represent their International Drivers Permit! Due to its friendly age policy, OK car rental Palma de Mallorca become popular among young people. Drivers of 22-25 years must pay extra 9.95 EUR a day (maximum 69.65 EUR). Cheap special equipment is another great reason to choose OK car rental at PMI airport! If you’d like to feel safer and more confident while driving, you can purchase breakdown assistance option for only 10 EUR. People other than the main driver are allowed to drive the rental car only if they meet all requirements of OK Rent-a-Car at PMI and pay surcharge of 5 EUR a day. How to find the best offer of PMI car rental by OK? We offer you Palma de Mallorca car hire by OK for only 4 USD a day! It just impossible to get lower rates, but it’s possible to find car model that will suit you more! In order to get the wider selection of the vehicles, try different pick up and drop off dates while searching on RentalCars24H. It will increase your chances to find the car you are looking for!